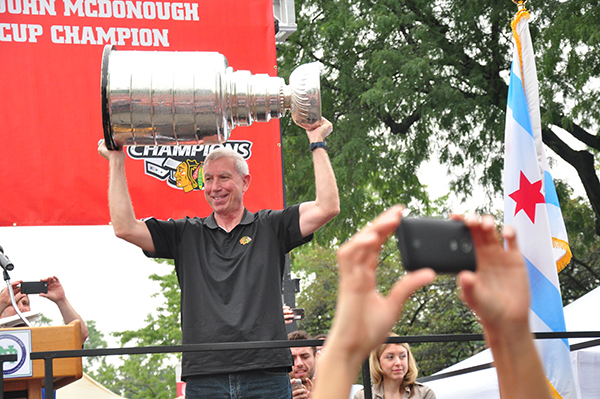 Chicago Blackhawks president and Edison Park resident John McDonough brought the Stanley Cup to a rally that was held on Saturday, Aug. 29, on Northwest Highway in Downtown Edison Park. 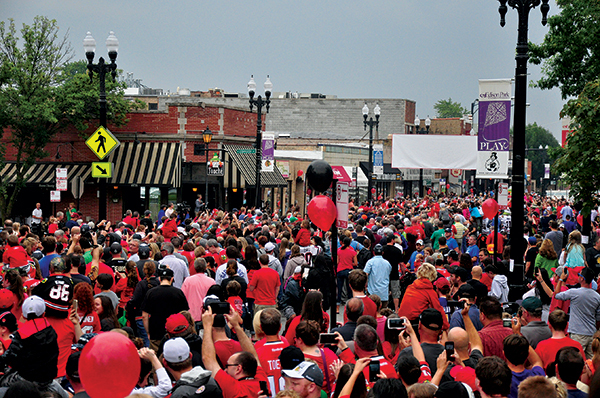 The event was attended by local officials. 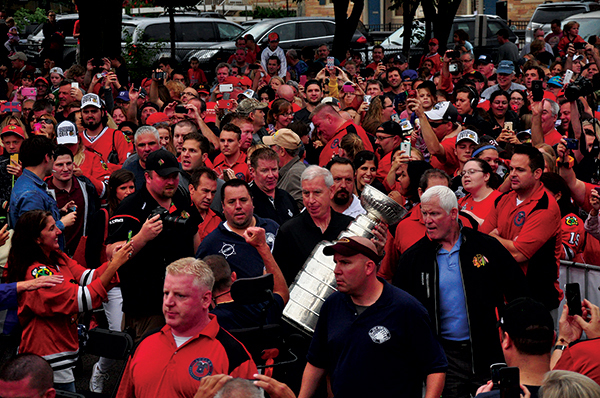 Blackhawks announcer Gene Honda was the master of ceremonies for the event, and Jim Cornelison sang the national anthem.